AATCC has approved the new SDL Atlas Vortex M6D Tumble Dryer to meet the parameters for home laundering test methods: 88B, 88C, 124, 130, 135, 142, 143, 150, 172, 179, and 188. 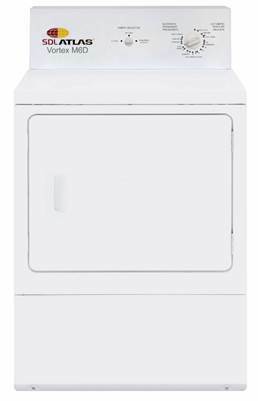 The Vortex M6D is a commercial-grade tumble dryer with a large American 18 lb. capacity and galvanized steel cylinder. It features a quiet and efficient blower system with 220 cubic feet per minute airflow. Additionally, the instrument can be calibrated to ISO 17025 requirements. The Vortex M6D is designed as the counterpart to the recently released Vortex M6 Washer which AATCC added in July as the only instrument approved on the top loading washer list. Designed to meet the latest top-loading table of the Monograph, the Vortex M6 is a commercial grade washer and is supplied with a controller, heavy duty variable speed motor, and custom water temperature and flow controls. For purchase details on both instruments, Divtech Equipment Co at 513-941-0483.